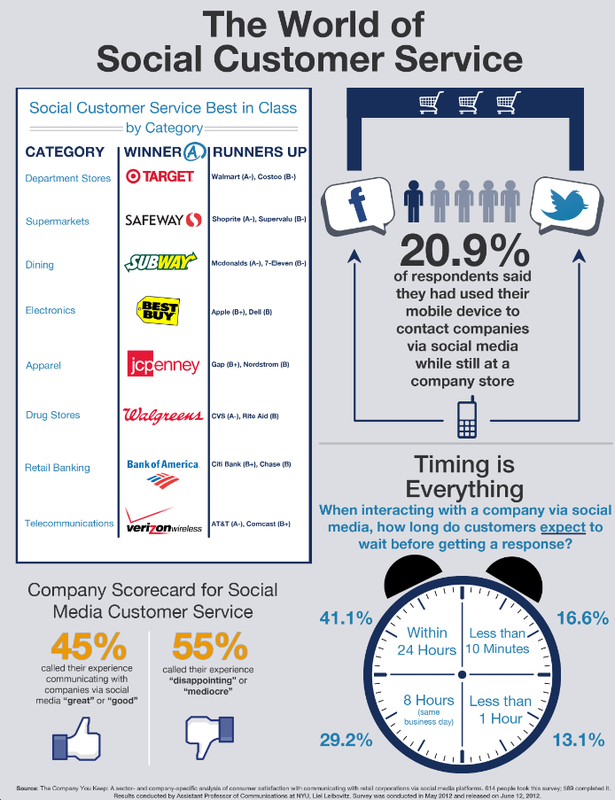 Should you use Social Media for Customer Service? One fear is that dealing with complaints publicly online may tarnish the flawless public perception of a brand. I would suggest that the opposite is true: brands who are brave enough to deal with their customers openly online are actually giving tangible evidence of their commitment to their customers. The fact is that people are already discussing companies online. They’re complaining, explaining and sharing their thoughts and experiences. Brands on the other hand are often only engaged in push messaging online and not dealing with the more negative issues that customers have. This approach is fatally flawed: A 2011 Conversocial survey found that if ignored by brands on social media sites, 45 percent of respondents would be angry, and 27.1 percent said they would no longer deal with the company. In other words, you're losing by not responding. 18% turned into loyal customers and bought more. A large part of the success of South African online retailer Yuppie Chef is their exceptional customer service. Rather than begrudging customer complaints, they treat them as an opportunity to show their commitment to delighting their customers and delivering on their promises. If, for example, a customer mentions that a pan is delivered in less than perfect condition they immediately dispatch another one, rather than grilling the customer to shift the blame, as many other retailers do. This, ultimately, builds trust and loyalty even if some people do occasionally take advantage. One of the questions that comes up is what online channel is best for customer support? My belief is that true customer centricity demands that you provide support where the customers are: Hello Peter, Facebook, Forums, Twitter and Blog Posts are all public channels and your social media support should extend to supporting them. I also think that it's a great idea to open up IM support on Mxit, or being available on BBM and Whatsapp. I personally resent being forced to call the call centre whenever I've got an issue with a big company, and also text is much more convenient for me as a customer. 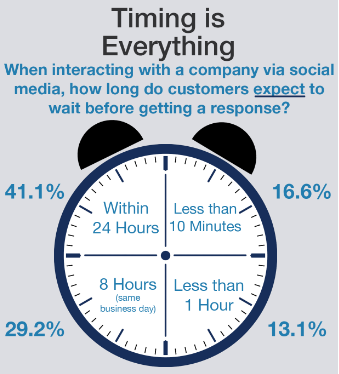 Customer expectations of online response times. Doing Social Media Customer Service for large company properly requires commitment, investment, a dedicated team, and specialised training. Discovery Health is one of a few brands that excels in Social Media customer support. They have a dedicated social media response team who are well versed in all the company policies, and are empowered to resolve customer complaints and escalate issues as high as they need to go in order to be resolved. Now, bear in mind that they're dealing with life and death issues along with all the complexities of medical insurance, and you realise that this is no small undertaking, and they've had to invest heavily in training a social media support team that not only resolves customer issues speedily, but also represents the brand well online. Virgin Active South Africa tracks mentions of their brand on Twitter and often chimes in with answers, suggestions, as well as co-ordinating responses at gyms around the country. The tone of voice is energetic, positive and informal while also showing the appropriate urgency that indicates the importance of customer service to Virgin SA. FNB's RB Jacobs is an oft-cited example of an exemplary customer service by a South African company on Twitter. The account is backed by a dedicated team who are online throughout the day. In addition to this, CEO Michael Jordaan often gets involved in addressing large issues using his own Twitter account to engage with customers and the media. This has led to a lot of brand-love for FNB. A social-savvy leader can make a huge difference to a brand's online reputation. Deal with issues before they become crises: McDonalds Canada recently shot a video that dealt with the fact that the pictures of food in their adverts look better than what they serve in branches. The result is a short video that has been viewed millions of times. By the time a customer mentions a complaint or issue on social media they have often exhausted the traditional complaint channels. This is why it's important to prioritise online complaints. For one thing, these customers are probably more irate than usual. For another, these customers are more influential than your average customer simply because they are publishing their views publicly. Despite all the benefits, it's still not the norm to deliver customer service on social media, and in fact 61% of consumers would be shocked if a retailer responded to their negative comment on the social web (MediaPost). While some brands may use this as justification not to respond, the most customer-centric brands will see it as an opportunity for delight. I'd love to hear your perspectives and experiences on Social Media Customer Service. Please share in the comments section below.